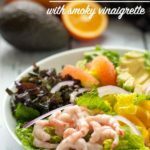 This healthy paleo citrus avocado salad features fresh oranges, grapefruit, avocado and shrimp on a bed of curly kale and crispy romaine, all drizzled with a to-die-for smoky vinaigrette. I like to think of the week between Christmas and New Year’s as a Bonus Week. It’s a freebie, devoid of commitments. It’s a time to rest and relax after the fun and festivities; a time to recharge before tackling all the goals I’ve set for the New Year. It’s a week for savouring the leftovers and finishing up the cheese balls, the cookies and the butter tarts. 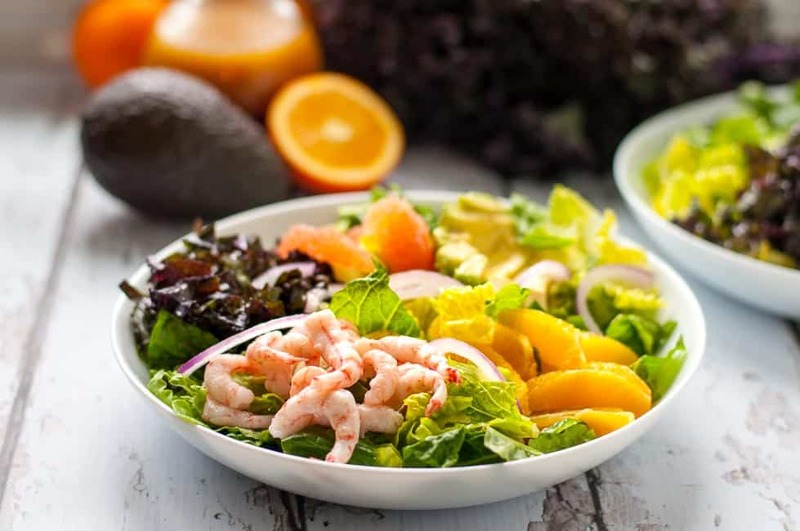 And then, it’s time to get back to my favourite way to eat: big bowls of healthy salad like this paleo Citrus Avocado Salad with Shrimp. 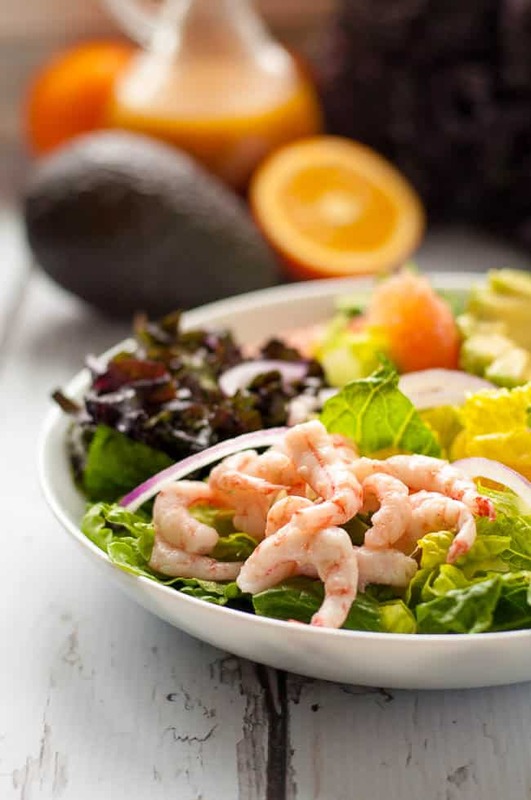 This shrimp salad starts with a bed of crisp romaine, continues with a generous helping of curly red kale, and is topped with fresh sweet orange and grapefruit sections, creamy avocado, thinly sliced red onion and a handful of wild baby shrimp. The best part? It’s all lightly drizzled with a sweet and smoky vinaigrette, a dressing I’d never made before but has now been moved to the top of my favourites lists. Denis has caught me smiling broadly and even laughing out loud while immersed in this book. We loved listening to this podcast last year, so we have started this one now. This is creating a gentle calmness in our home. And get this: it runs off my laptop! I was excited to receive this incredible gift for Christmas too, but I have to admit I’m a little apprehensive to use it. My girls found two new cookbooks under the tree this year: one paleo, one for salads. Both look fabulous! How do you savour this time after Christmas? Are your leftovers gone? Ready for fresh veggies and salad? 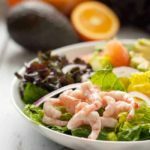 I hope you’ll add this scrumptious vitamin-rich citrus avocado salad to your meal plans this week. It will definitely be on mine. 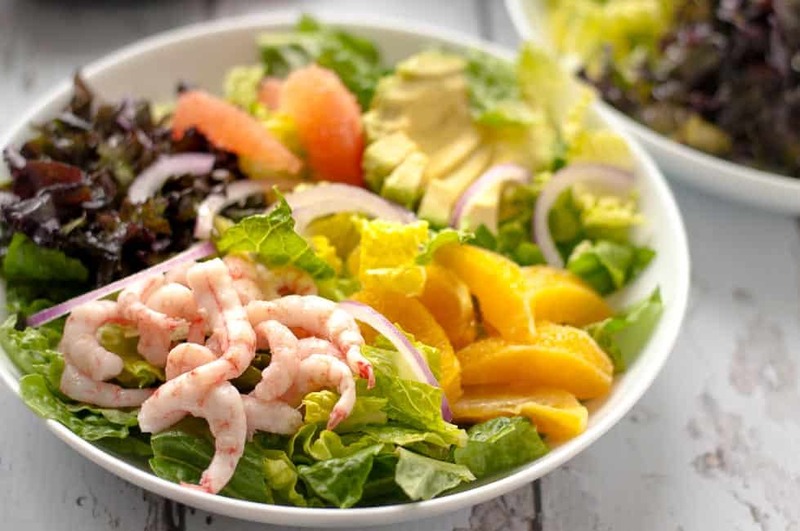 This healthy salad features crisp romaine, curly red kale, fresh orange and grapefruit sections, creamy avocado, thinly sliced red onion and wild baby shrimp, all drizzled with a smoky vinaigrette. 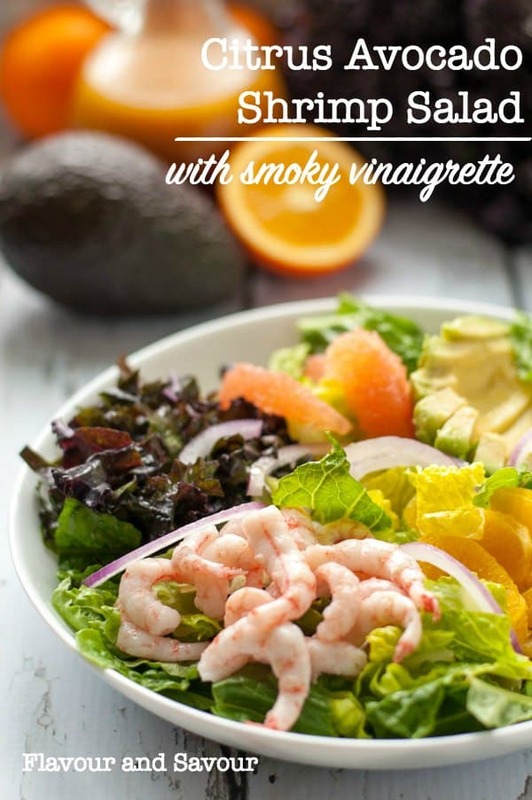 Whisk together vinaigrette ingredients and set aside to allow flavours to blend. Looks and sounds yummy. Great to get healthy again with our eating habits!